2015 Yamaha FZS, Deland Motorsports is your #1 destination! Serving Daytona Beach, Orlando,Longwood, Deland, St Augustine, Melbourne, Cocoa Beach, Tampa, Jacksonville area s. We have the largest new & used ATV, Prowler and Wildcat inventory for sale in Florida! Over 500 units on sale! Millions to lend, no credit applications will be refused! ***LOWEST PRICE GUARANTEE*** We will beat any local dealer's legitimate offer! Located at 2610 S. Woodland blvd, Deland Florida 32720 Call (866) 374-0612 Will beat ANY DEAL you have from ANY DEALER. Bring the deal you have in to Deland Motorsports and it's DONE, And it's that easy. Go ANYWHERE first but check with DELAND LAST!!!! 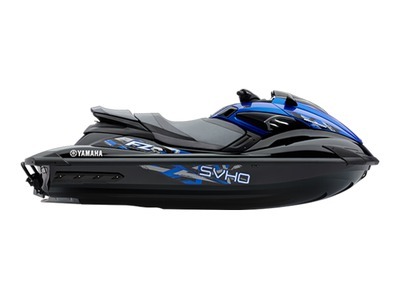 2015 Yamaha FZS® Race-ready performance right out of the box. The 1.8 liter supercharged, Super Vortex High Output Yamaha Marine engine boasts a 160mm high-pressure pump for more torque and quicker acceleration. An all-new NanoXcel2 hull and deck shaves 35 pounds off the total weight for quicker acceleration and livelier handling. Performance upgrades include a water dipped carbon fiber visor, aggressive graphics, Quick Shift Trim System and telescopic steering. Features May Include: SVHO ENGINE Yamaha s 1.8L supercharged, Super Vortex High Output Marine engine delivers more power and torque than any WaveRunner Personal WaterCraft before it. METER Provides a quick read on speed, RPM, fuel, oil pressure, hour meter and check engine light with self-diagnostic function. WATER-DIPPED VISOR All new water-dipped carbon fiber texture adds distinctive style. TELESCOPIC STEERING The industry s only telescopic steering column offers three distinct riding positions. REBOARDING STEP Ergonomically designed to make it easier to reboard after a swim. Conveniently tucks away when not in use. QUICK SHIFT TRIM SYSTEM The Quick Shift Trim System permits bow adjustments on the fly for a more personalized riding style and quicker planing on acceleration. All Yamaha pictures are kind of Yamaha HD motorcycles picture was taken, including motor fuel gauge, engine, engine mounts, tires, fuel tank, the car handles, lights and so on, 2015 Yamaha FZS full-screen viewing,2015 Yamaha Motorcycles today Price: $14,399 .